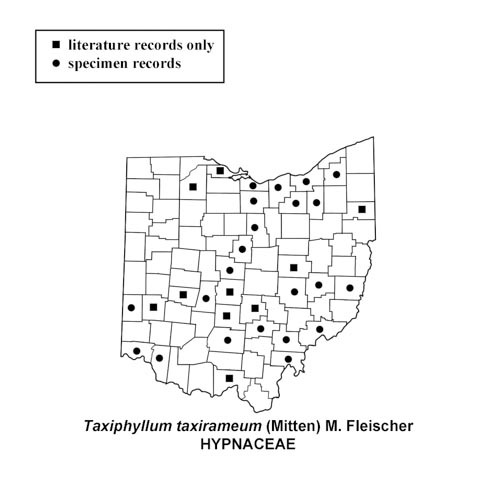 Taxiphyllum taxirameum at a private nature preserve in Crawford County, Ohio. October 1, 2011. 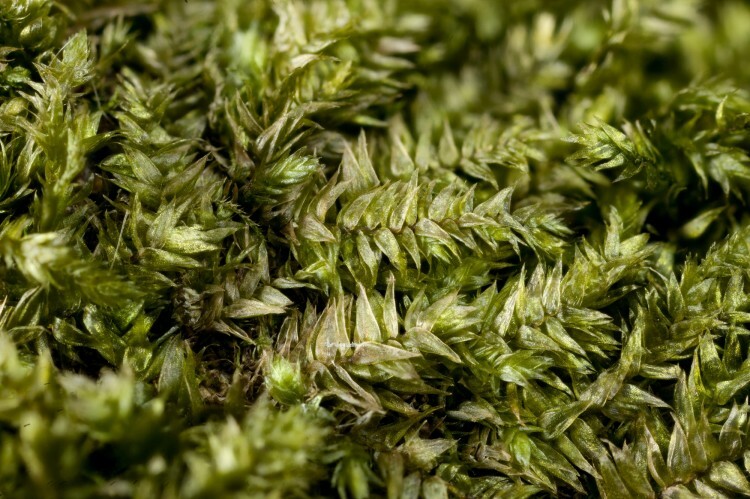 How to recognize Taxiphyllum taxirameum: This moss is very similar to its sister moss Taxiphyllum deplanatum, with complanate leaves with a short double costa. It differs in a few respects. The whole plant has leaves more widely separated than the overlapping leaves of T. deplanatum. The tip of the leaf is somewhat broader and acute, and less acuminate. 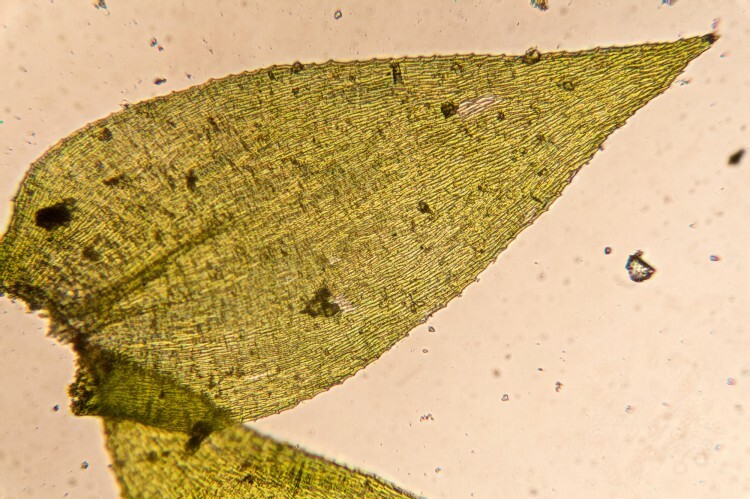 Under the compound microscope the back of the upper leaf cells are usually “prorate” with the upper ends of the cells protruding above the leaf surface; the almost square marginal cells at the base of the leaf are 1-3, and not 3-8 as found in T. deplanatum. 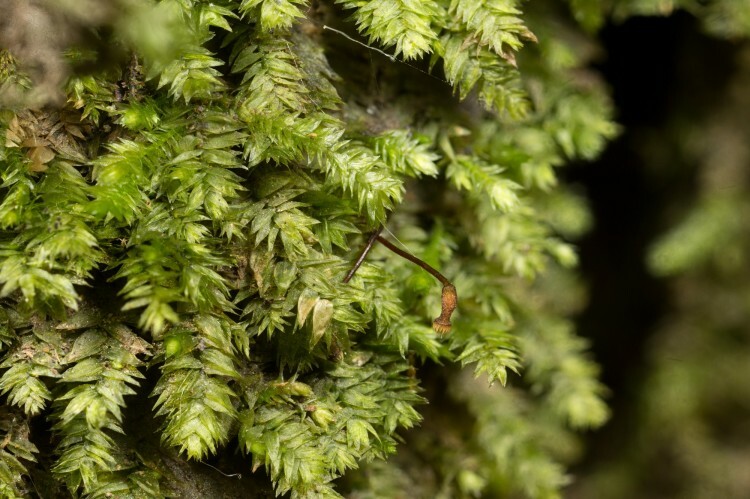 Where to find Taxiphyllum taxirameum: Look on soil and rock in calcareous areas.